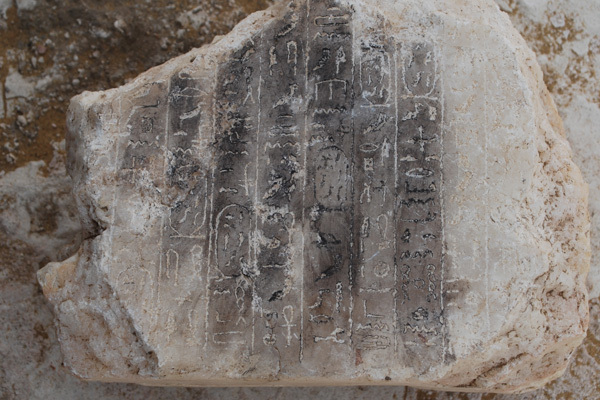 ... Adel Okasha, director general of the Dahshur Necropolis, explained that the portion of the pyramid uncovered so far shows a part of its inner structure. This structure is composed of a corridor leading to the inside of the pyramid and a hall that leads to a southern ramp, as well as a room at the western end, he said. Via EEF : Dr. Kim Ryholt, Professor of Egyptology in Copenhagen (and a specialist for chronology questions) means to recognize the cartouche of the king Ameny-Qemau (Pap. Turin : No. 8 from Dyn. 13 ; Beckerath, 1999 : Later / Not classified, but also Dyn. 13). If this is correct, than it is "only" a re-discovery. The pyramid of this king was found in 1957 by Dr. Charles Arthur Muses in Dashur. See ... "Die Könispyramide des Ameny-Qemau - Die unveröffentlichte Geschichte ihrer Entdeckung". - Berlin : Kemet-Verlag, 1998. - 20 p.
If it is the same pyramid they discovered in 1957 (and apparently excavated in 1968?) did they just forget it was there?? Or is it a case where they are doing further excavations and happen to find further inscriptions? The references give some of the literature. There are images in wikimedia, but no actual pictures from the site. ... confirms, in my opinion, the assumption expressed by Prof. Kim Ryholt. 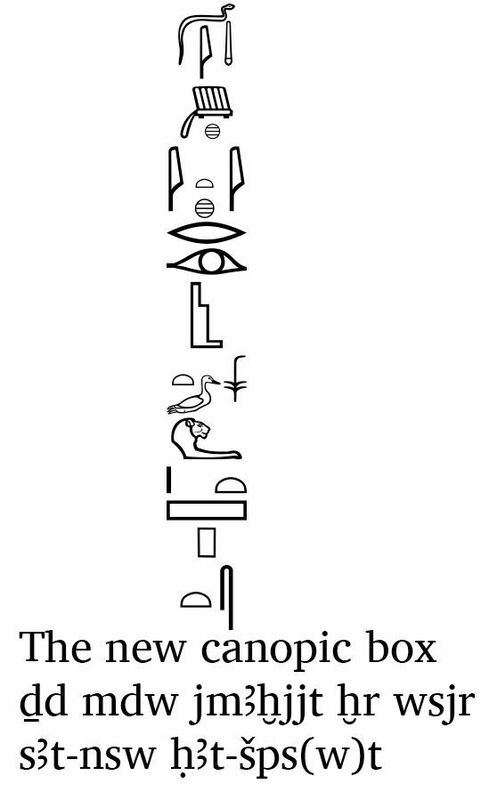 The number of hieroglyphs within the cartouche matches. As far as the quality of the picture from the block allows to say, the hieroglyphs are identical. Only their arrangement is slightly (in one case) changed. Aidan Dodson : The Strange Affair of Dr Muses - Or the Discovery of the Pyramid of Ameny-Qemau. - In: KMT - A Modern Journal of Egyptology 8-3. - 1997. - pp. 60 - 63. Online for download as PDF ... Nabil Swelim / Aidan Dodson : On the Pyramid of Ameny-Quemau and its Canopic Equipment. - In: MDAIK 54. - 1998. - pp. 319 - 334. Thanks for the info, and especially the links! This is the great (re)discovery, but maybe this is not a place to put my opinion of Kim Ryholt here, but I must. After finishing my Turin King List by using his science articles on reconstruction few years ago, I send two e-mails to him, with my respect to his work, and also send him a finished Turin King List table, but he never responded to it. Never. Even when second email was sent few months latter. I know I am not some famous archeologist with dozen of diplomas and other degrees, but it is at least human to send any answer to my few month hard labor to make all clean and correct. I don't like people who thinks that they are more important the others, and this is that situation. "The Egyptian archaeological mission from the ministry of antiquities uncovered the burial chamber of a 13th Dynasty Pyramid discovered last month in Dahshur archaeological site. Adel Okasha the head of the Mission and the General Director of the Dahshur site explained that after removing the stones that covered the burial chamber, the mission discovered a wooden boxes engraved with three lines of hieroglyphs. These lines are rituals to protect the deceased and the name of its owner. Sherif Abdel Moneim assistant of the minister of antiquities reveals that the box was once houses the four canopic jars of the deceased and the name engraved on it would be for the daughter of the 13th Dynasty king Emnikamaw [Ameny Qemau] whose pyramid is located 600 meters away. He said that the mission also discovered last month a relief with 10 lines of hieroglyphs bearing the Cartouche of King Emenikamaw [Ameny Qemau]. Hence the box may belongs to the King’s daughter or one of his family. Inside the box, the mission has found wrappings of the deceased's liver, intestine, stomach and lungs. Remains of an anthropoid sarcophagus has been found but in a very bas conservation condition. Excavation works would continue to uncover more of the pyramid's secrets. Dr. Khaled El Enany, Minister of Antiquities visited the site this morning to inspect the excavation works. Dr. Mahmoud Afifi, head of the ancient Egyptian sector, Alaa Al-Shahat, head of the central administration of Antiquities of Cairo and Giza have escorted him during the tour." " sAt-nsw HAt-Sps(w)t - Daughter of the King, Hatshepsut ". ... with (preliminary) translations of the inscriptions by James Allen and Aiden Dodson.